Your eyes literally take a beating if you are like most people and have to work long hours in front of a computer screen or are looking at your smart phone for messages and information. It can even be worse if you have to wear contact lenses. So how can you tell when your eyes are strained and tired? Well, they will become red, itchy, and dry. This process will also be aggravated from continuing to read or expose your eyes to light and the dry conditions of your office environment. This often leads to dry eye syndrome. Some of the more common causes of dry eye syndrome are chronic eye strain, dry air, contact lenses, air conditioning, outdated glass prescription, and poor eye hygiene. Here are some tips which may allow you to manage this rather annoying situation. Take breaks from your computer screen and try to have a monitor which emits a softer source of light. Also make sure the font size or screen size fits your needs. In addition, you may want to take some saline eye drops with you to work so that you can place drops into your eyes every several hours during work as needed. If you work in an air conditioned environment, try taking a break outside so the moist, humid air can contact your eyes. Previous research published in the journal Cornea indicated that adult subjects exposed to an environment consisting of 5% humidity, typical of airplanes and office environments, developed the symptoms of dry eye syndrome in 60 minutes. Those symptoms consisted of redness, itchiness, burning, and blurriness. When you do take a break, gently opening the eyelids and allowing your eyes to naturally tear is a good way to cleanse the eye when you are outside. This is also a good time to apply your eye drops. If you wear contacts, it may also a good time to remove them to give your eyes a break. At home, you may want to have a humidifier on most of the time and try to refrain from spending too much time in front of the computer or your phone. It’s also very important that you cleanse your eyes before bed as sleeping can be a bit difficult if there is some irritation present. Dry eye syndrome can be a problem if you are waking up with eyes that are red and a bit crusty with a definite degree of itchiness. If this is the case, please seek consultation and treatment from your health care provider. The nutrients lutien and zeaxanthin found in green leafy vegetables like kale, collard greens, Swiss chard and broccoli can help protect your eyes from the harmful light rays which constantly bombard your eyes. You may also want to consider eating foods like red pepper, citrus, strawberries, nuts, seeds and seed-oils to get the necessary vitamins C and E for eye health. 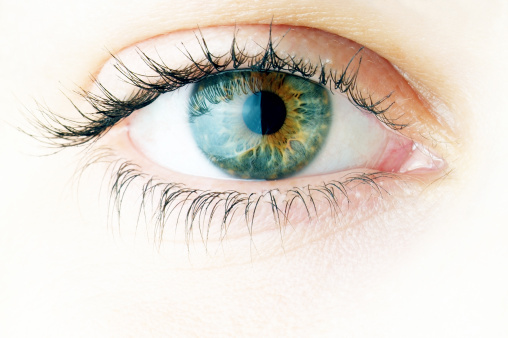 “Eye health,” WebMD web site;http://www.webmd.com/eye-health/lutein-zeaxanthin-vision, last accessed October 8, 2013.